Smile for a Cure 2014: WINNERS ANNOUNCED! 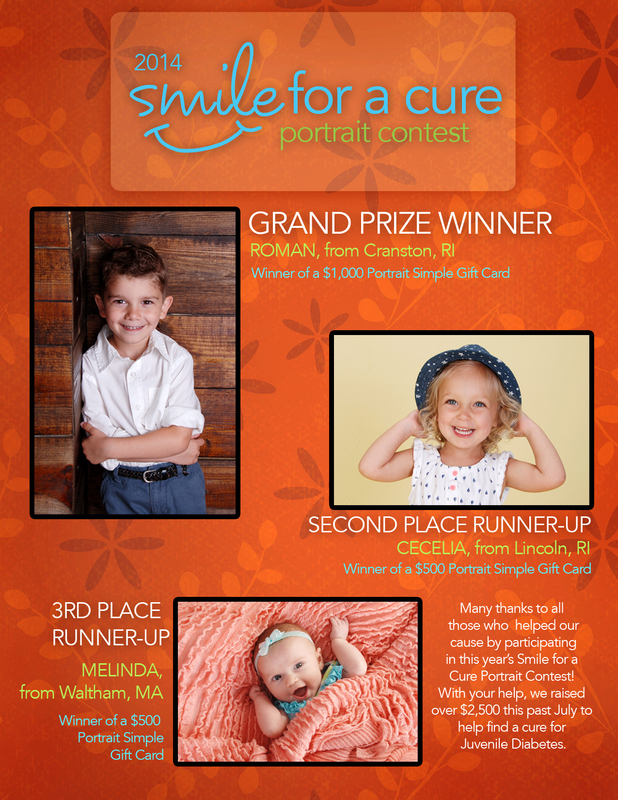 The votes have been tallied and we are happy to announce our winners for this years Smile for a Cure Portrait Contest. Congratulations to Roman, Cecelia, Melinda, and their families! 2013 Smile for a Cure Winners Announced! 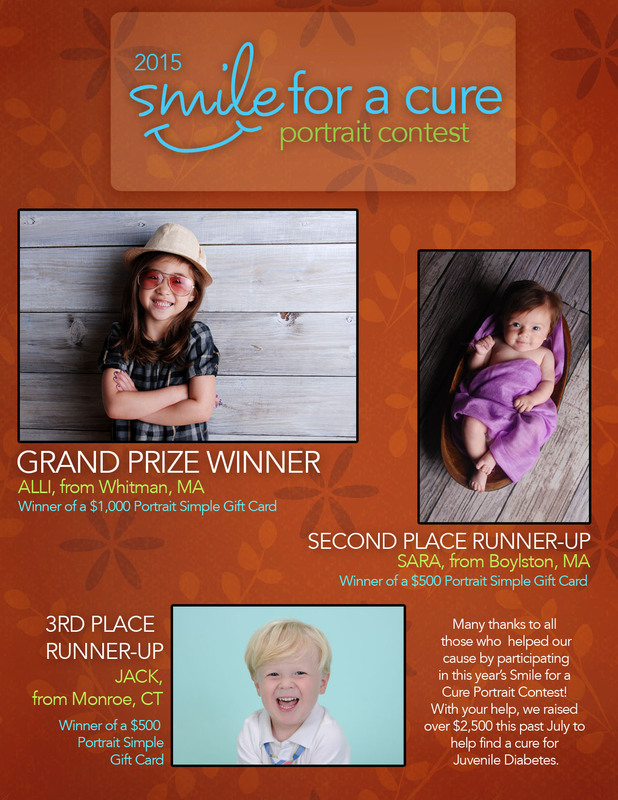 The votes have been tallied and we are happy to announce our winners for this years Smile for a Cure Portrait Contest. Congratulations to Diana, Andrew, and Chloe! Categories: What's New | Tags: contest, JDRF, Winners | Permalink.